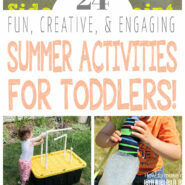 Home > Family > Kids Crafts & Activities > 24 Super Fun Summer Activities For Toddlers! Summer is here! If you’ve got kids at home this summer, you’ll NEED this list of summer activities for toddlers to keep them busy and engaged all summer! Need some great ideas to keep your toddler busy this summer? 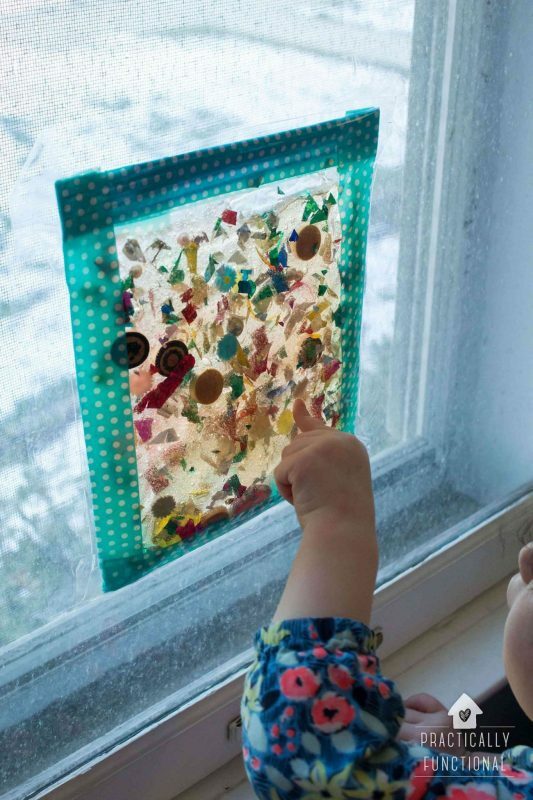 Check out these fabulous crafts, projects, and activities that you can do with your toddler (or just set up and let them play by themselves) to keep them occupied! 1. 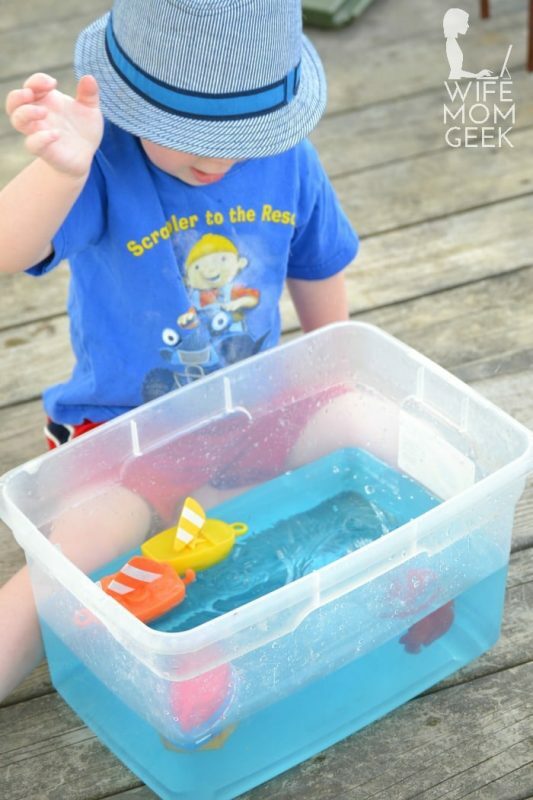 A fun water play activity that can be used again and again! Who doesn’t love playing in the water! 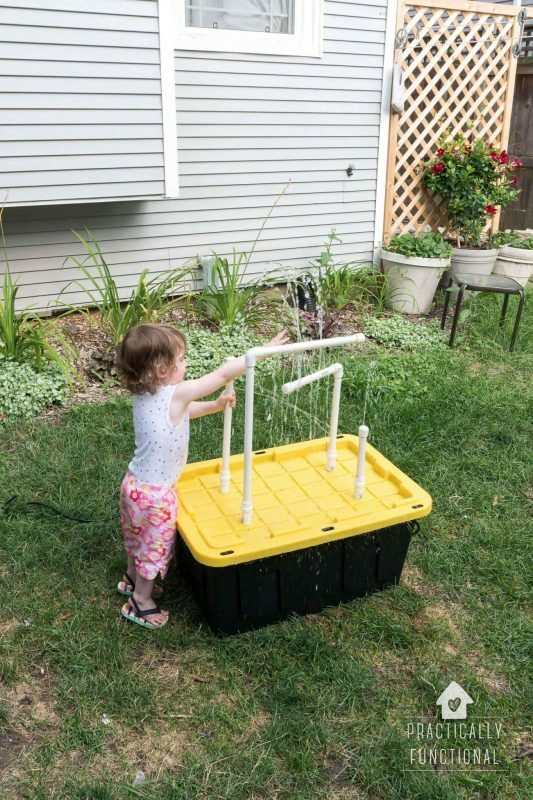 The fountains and sprayers on this simple DIY water table will keep the kiddos entertained (and cool!) for hours on hot summer days! 2. 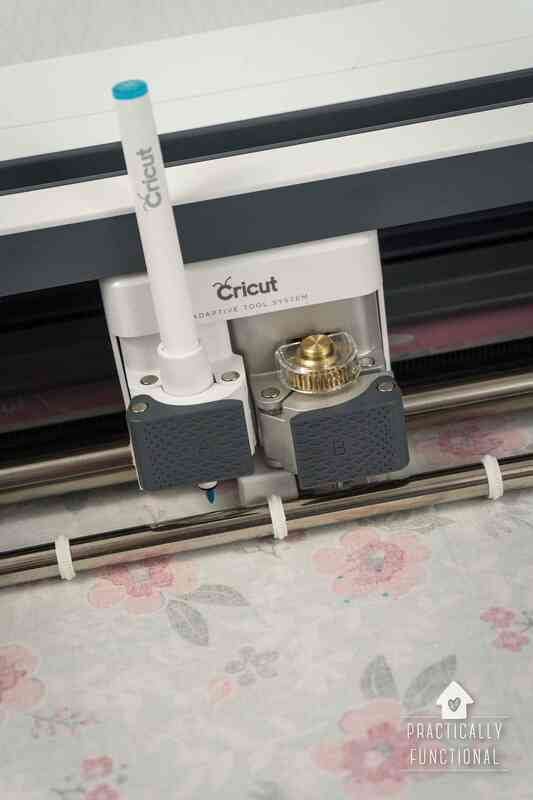 No fancy photo paper needed to make these cool prints! 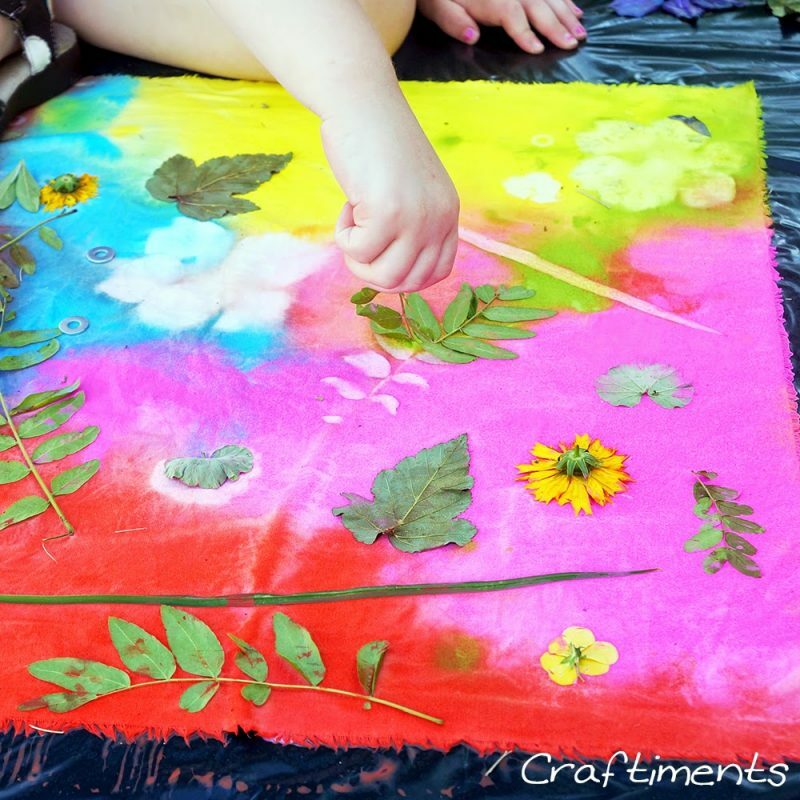 All you need to make these awesome “sun prints” is acrylic paint and some leaves and flowers! It turns out gorgeous and the kids will have fun learning about heat and evaporation while they craft. See the full instructions on Craftiments. 3. Make your own marble race track! A pool noodle makes a great marble race track! Set up a couple in the yard for hours of racing fun! See the full instructions on Fancy Shanty. 4. 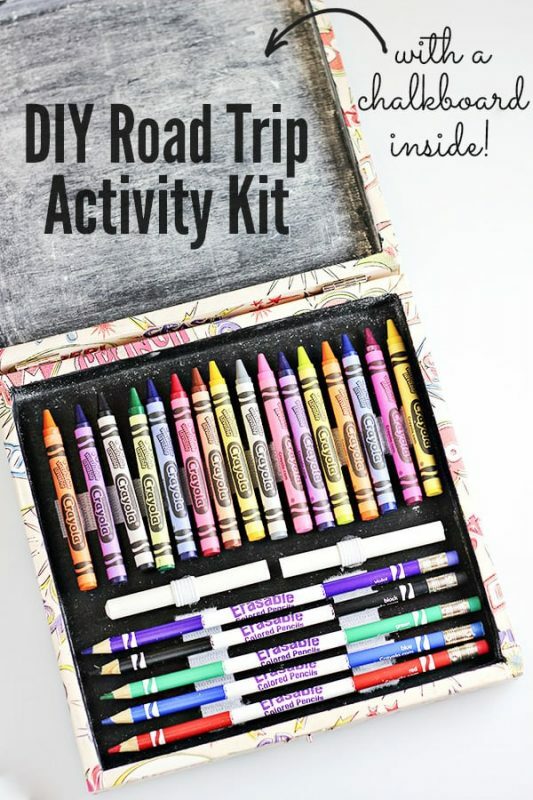 Keep the kids occupied on long road trips with this simple craft! Turn an empty box into an awesome road trip activity set to help keep the “Are we there yet?”s at bay on your next road trip! 5. Awesome STEAM activity to learn about how plants grow! 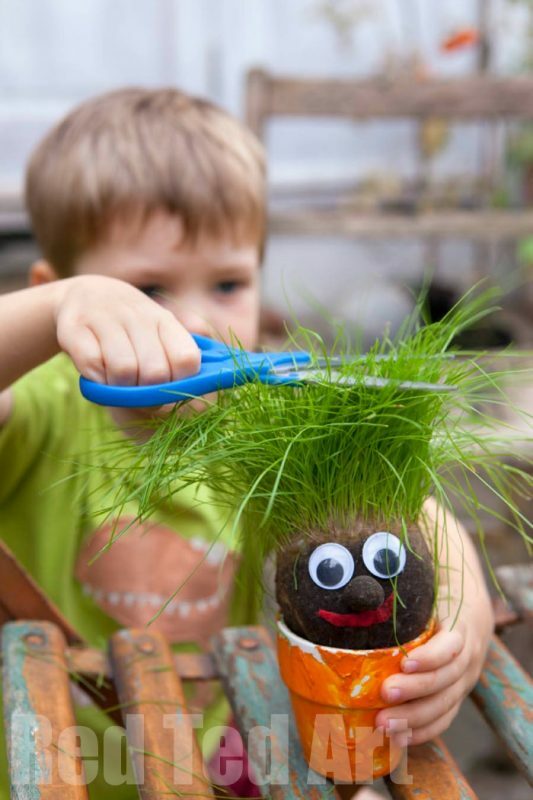 Plant these cute grass heads and watch the grass grow! Your kids will get a kick out of giving the heads a “haircut”! 6. This sidewalk paint is puffy for extra fun! 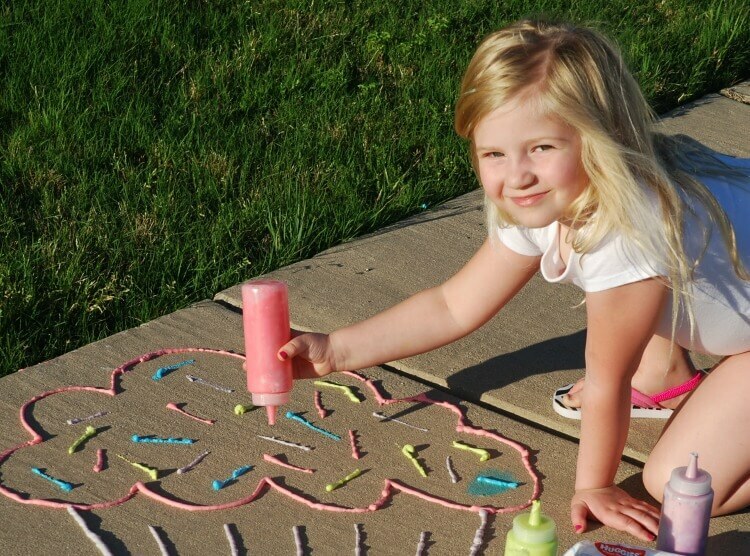 Make your own puffy sidewalk paint in any color you want! The best part is it washes off easily with water! See the full instructions on The TipToe Fairy. 7. Never run out of bubble solution again! The kids will love making their own bubble recipe so they never run out! 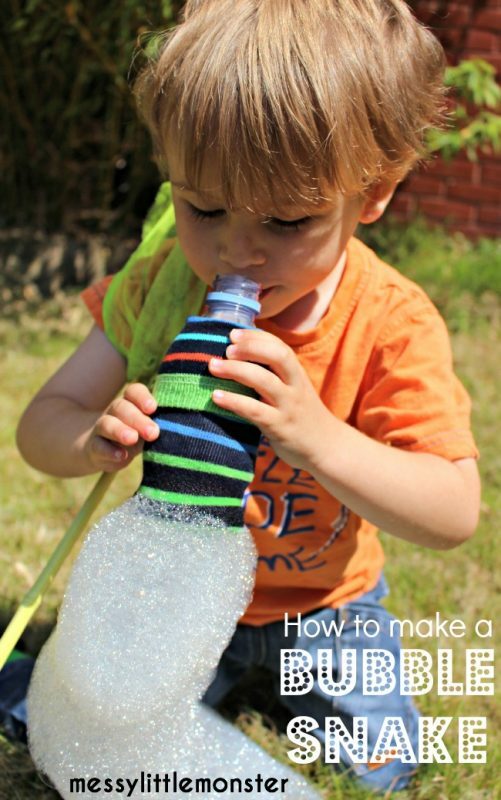 There are even instructions for how to make a bubble solution that will create GIANT bubbles! 8. Getting dirty is irresistible to little kids, so let them have fun! 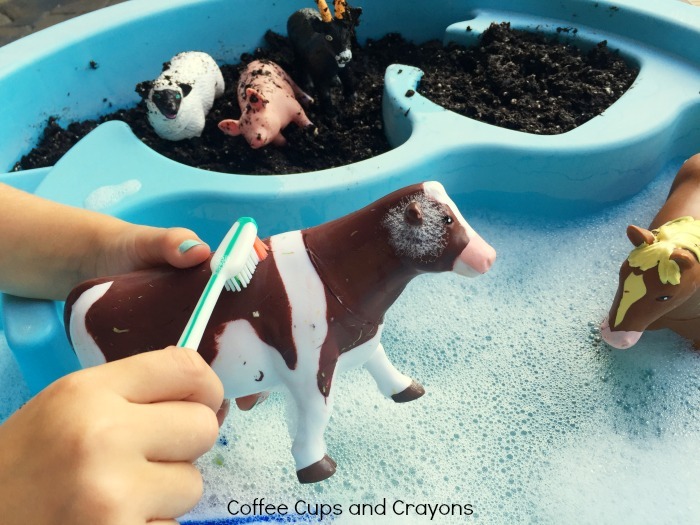 The kids will love getting the animals dirty, and then cleaning them up! It’s a super low-prep activity that can be done again and again! See the full instructions on Coffee Cups And Crayons. 9. 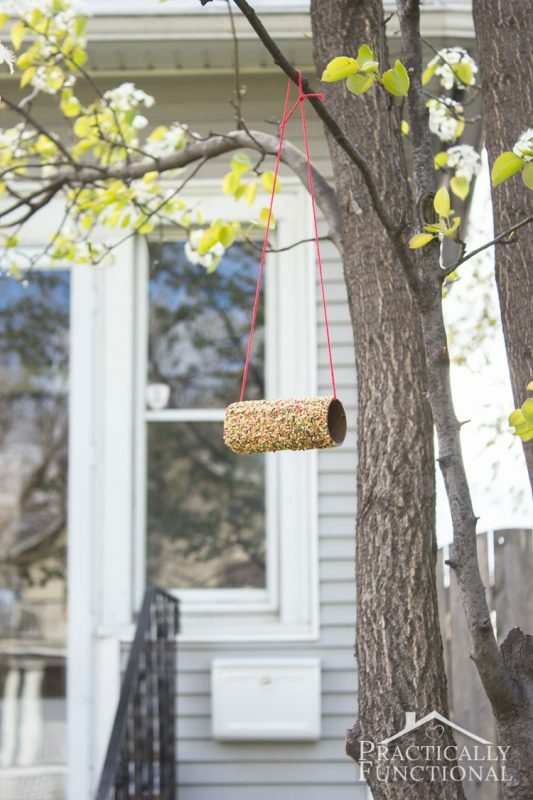 Make treats for your feathered friends this summer! These little bird feeders are super easy to make, and the kids will love watching all the birds come to the yard for a snack! 10. Get everything you need for these cute boats at the dollar store! 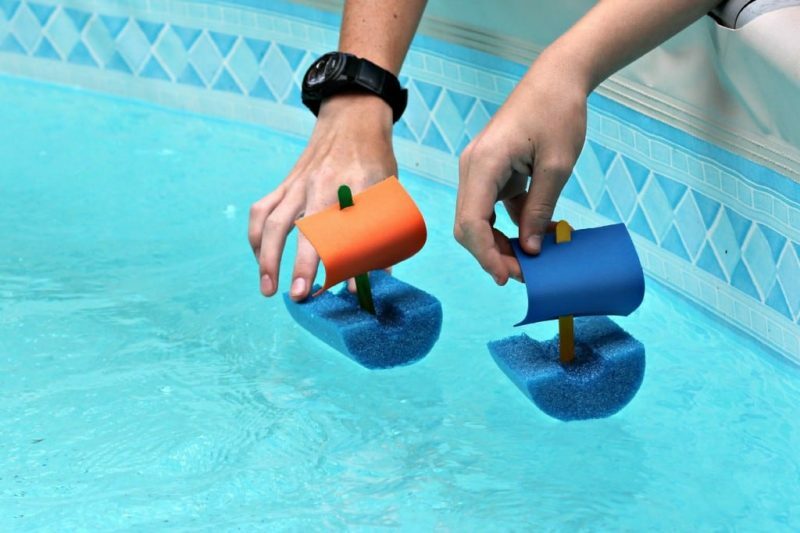 A pool noodle, popsicle sticks, and a few pieces of paper are all you need to make these little boats. The kids will love floating them around the pool! 11. Water + Ice + Colors = Endless Fun! Not only will your kids love playing in the water, but they’ll learn about mixing colors and how ice works! 12. The easiest way to make a bubble snake! 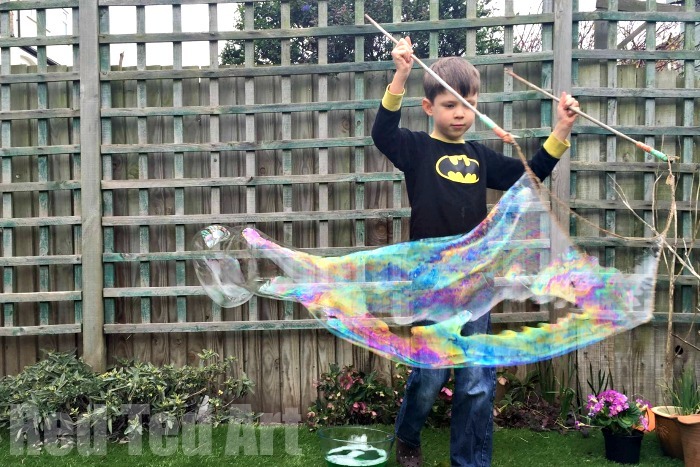 Instead of blowing single bubbles, make an entire bubble snake! All you need is a sock and a water bottle! See the full instructions on Messy Little Monster. 13. Keep the kids cool on those hot days! These sponge necklaces are fun AND functional! The kids will love playing with them in the water, plus the necklaces will keep them cool as they play on hot days. See the full instructions on The Tiny Funnel. 14. 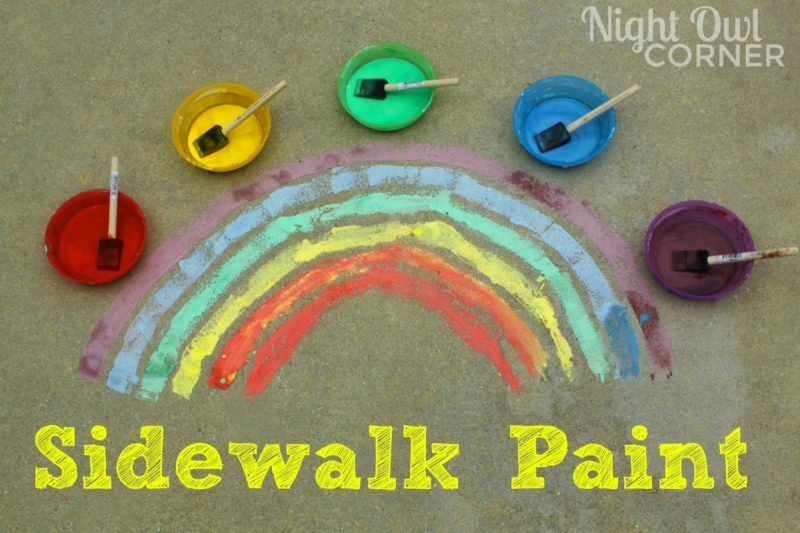 This sidewalk paint is easy to make and super fun! You probably have everything you need to make this sidewalk paint in your kitchen already! Whip up a quick batch and it will keep the kids happy and entertained outside for hours! 15. 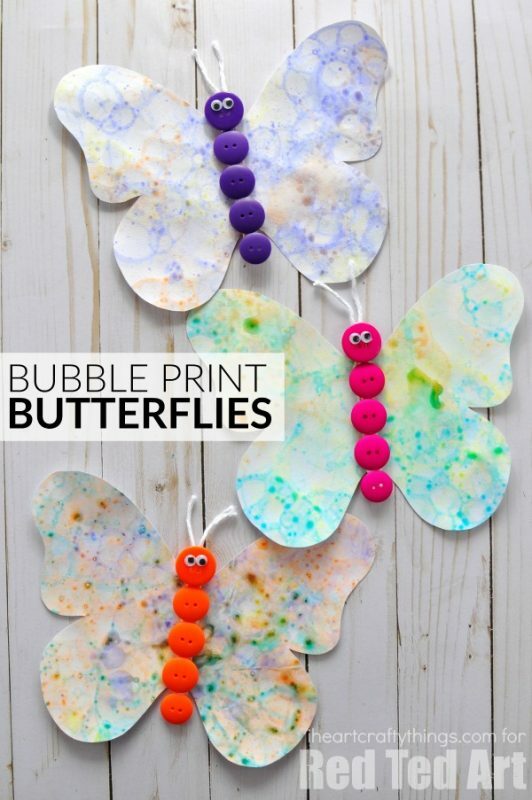 Blow bubbles to make these cute butterflies! Remember blowing bubbles in your milk as a kid? Well this time you can let your kids blow bubbles to their hearts content to create these cute butterflies! 16. 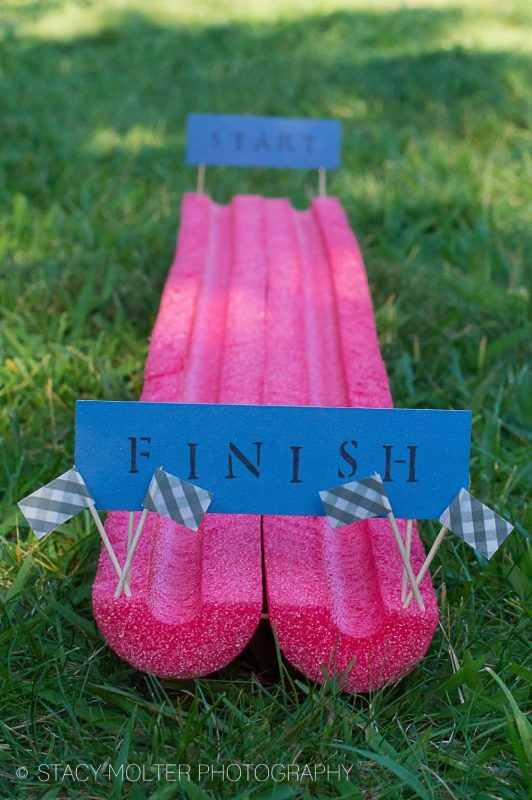 Such a fun and simple way to welcome summer! 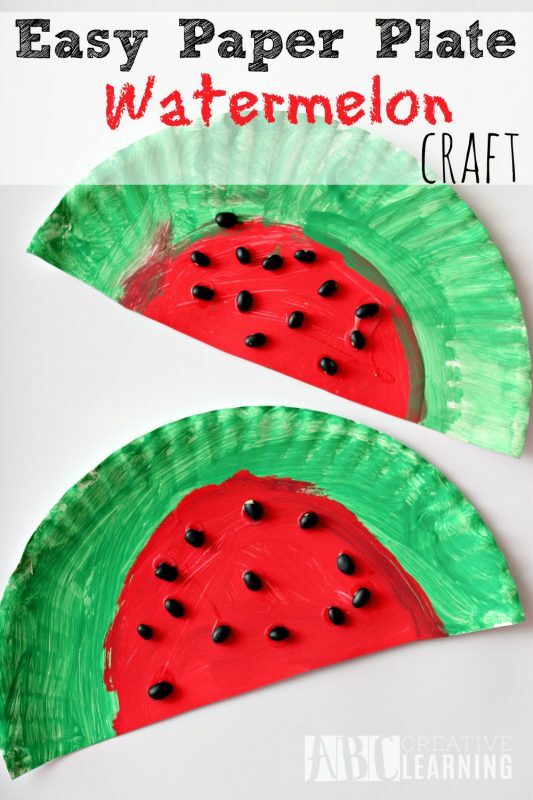 This cute paper plate craft will be a huge hit this summer! It’s so quick and easy to do, and only requires a few basic supplies! 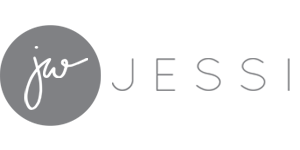 See the full instructions on Simply Today Life. 17. 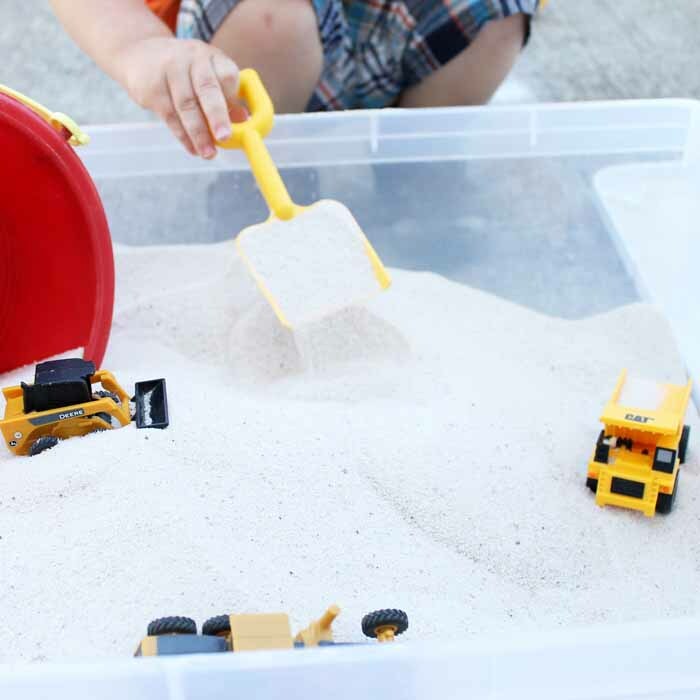 Create your own sandbox with a lid! Kids love playing in sand, so why not give them their own mini sandbox! Bonus: It has a lid so you can close it up and store it away when it’s not in use! See the full instructions on The Country Chic Cottage. 18. These fun binoculars are perfect for summer nature walks and playground trips! 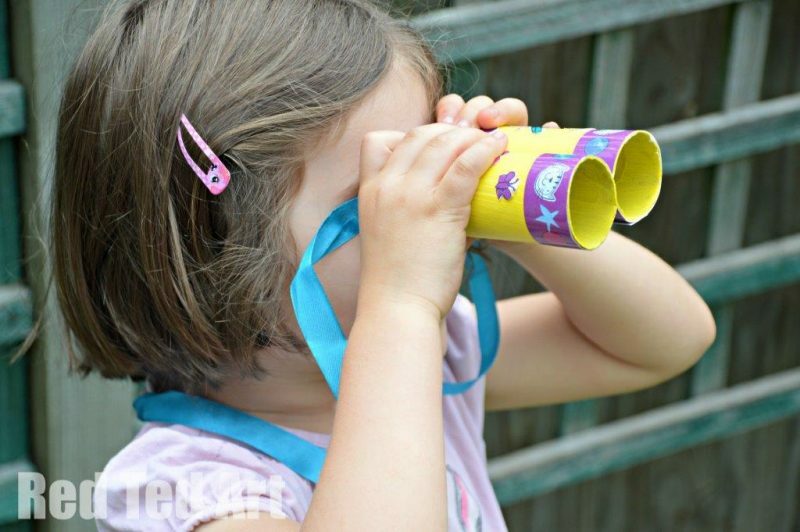 Turn empty TP tubes into binoculars that your inquisitive toddler will love! They already love to explore the world; help them out with this cute craft! 19. Keep the kiddos entertained for hours on rainy days! 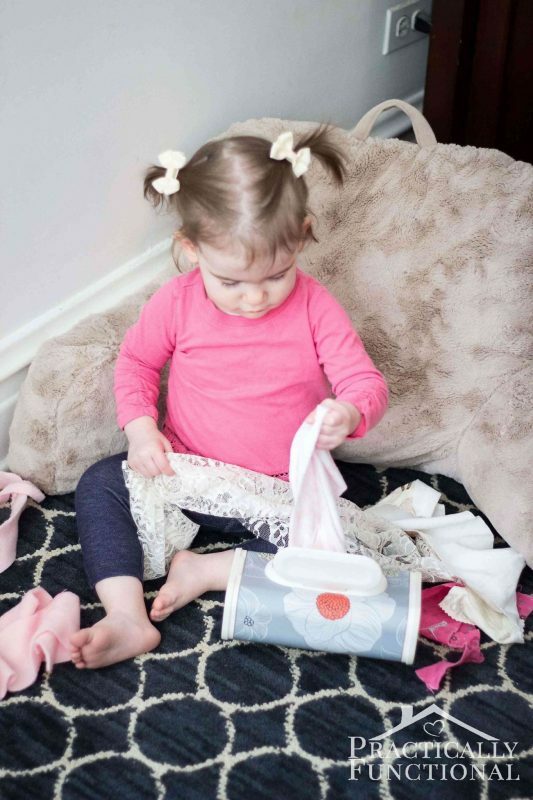 Stuff fabric scraps into an empty wipes container for a quick and easy activity your toddler will love! If you’re ever stuck indoors this summer, this is the perfect solution! 20. 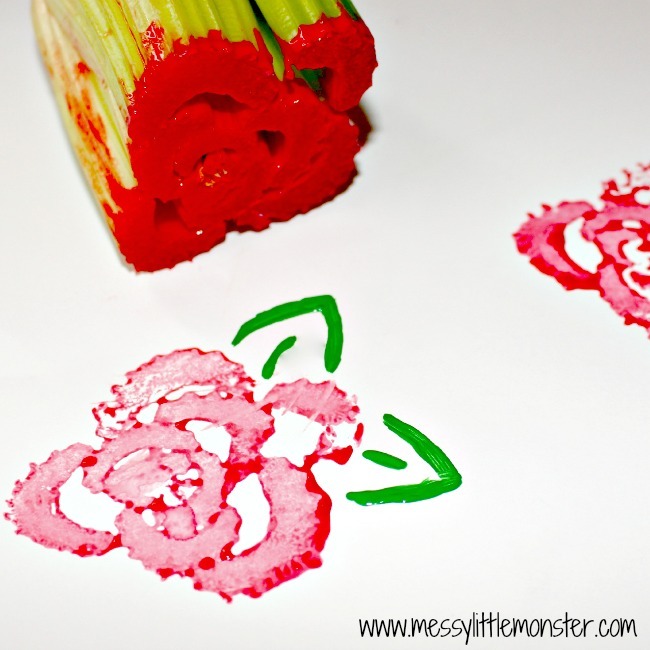 Toddlers will love stamping with celery! Did you know celery looks just like little roses when you cut it in half? Grab some paint and some celery and keep your toddler occupied with a fun craft! 21. 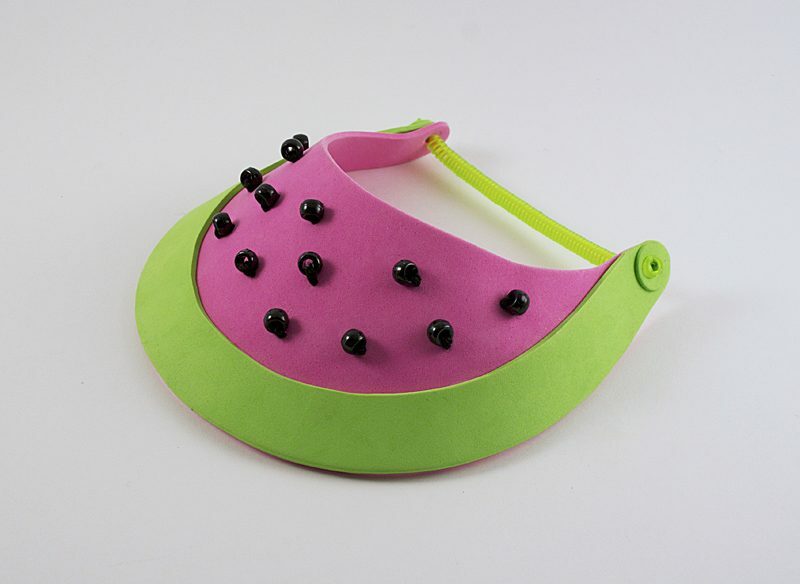 Protect the little ones from the sun with this cute visor! The sun can be harsh in summer, so protect little faces with these cute visors! Plus the kids will love helping to make them! 22. This sensory bag is so easy to make, and totally customizable! Grab a recloseable bag and some hair gel, and fill your sensory bag with whatever you want! Go on a nature walk with the kids and have them collect their own fun specimens for their sensory bag! 23. 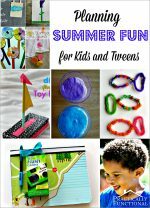 Perfect travel-sized activity to keep the kids busy! 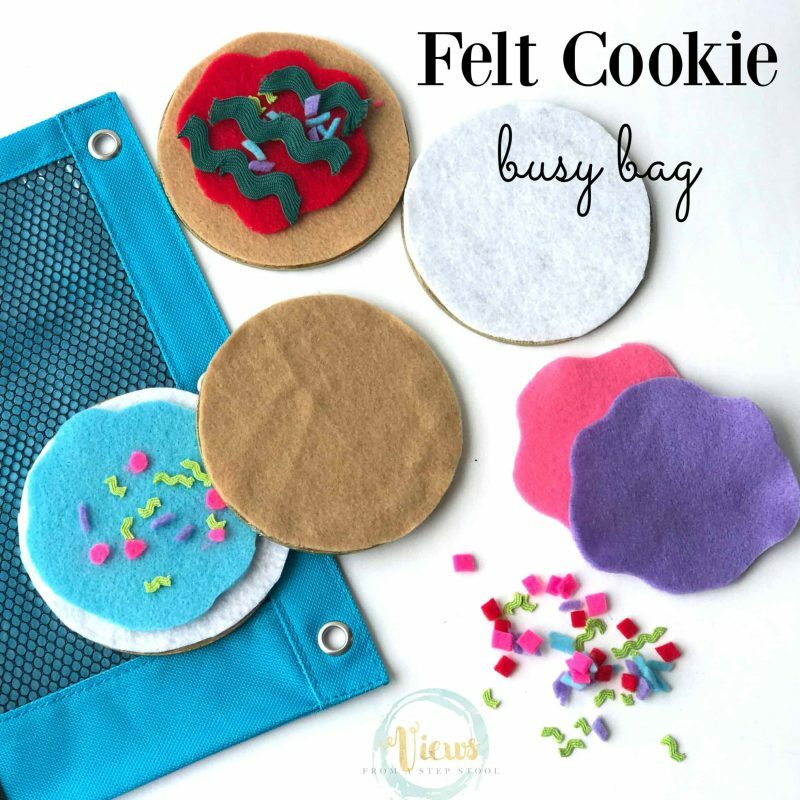 This cute felt cookie activity bag will keep the kids entertained for hours! Plus they’ll love helping you create the pieces to put the bag together! See the full instructions on Views From A Step Stool. 24. For all the nature lovers out there! Grab a couple supplies from the dollar store and go on a bug hunt! 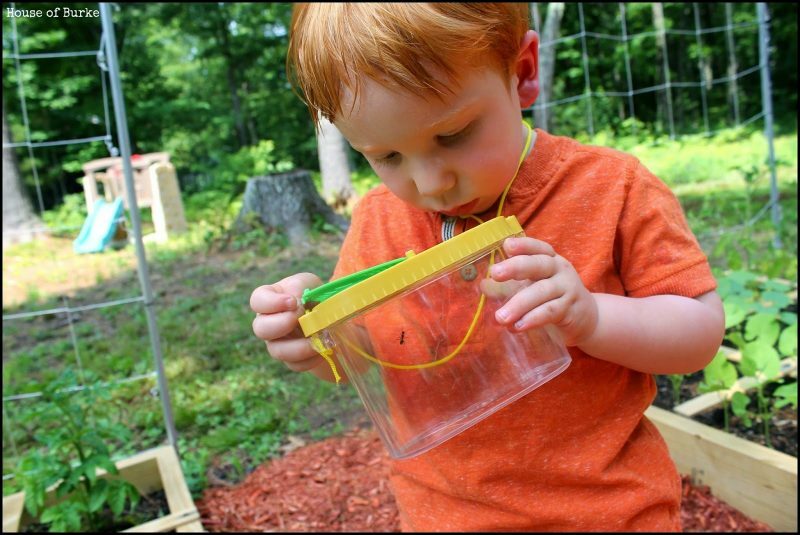 Toddlers who love to explore can learn more about bugs and nature while having a ton of fun at the same time! See the full instructions on House Of Burke.